Honda Motorcycle And Scooter India has confirmed that it will launch the Honda CB300R in the coming months and price it below Rs. 2.5 lakh. Here is everything you need to know about the motorcycle. Honda Motorcycle and Scooter India has launched the 2019 Honda CB300R, a naked bike with a brand new 286 cc, single-cylinder engine and styling inspired by the Honda Neo Sports Cafe concept. The Honda CB300R has been launched in India at a price of ₹ 2.41 lakh (ex-showroom) and will be assembled in India from completely knocked down (CKD) kits. 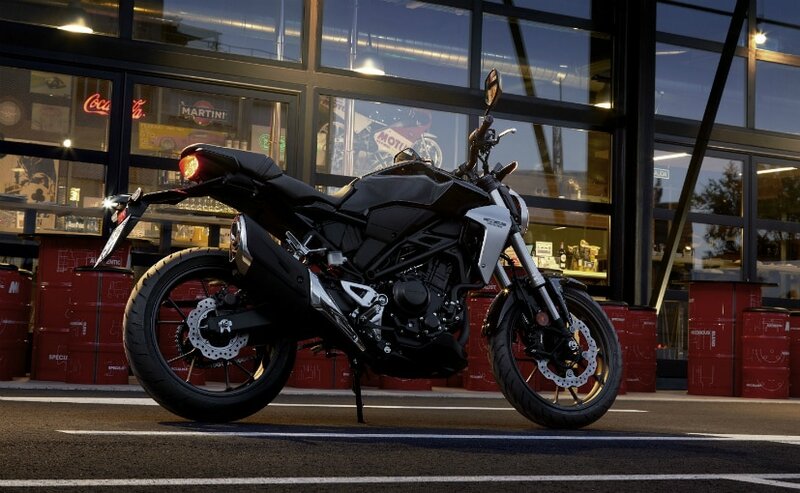 HMSI says the CB300R is positioned to attract buyers who will be looking to upgrade to bigger, litre-class bikes in the future, and the CB300R provides the perfect platform to provide a stepping stone into more powerful and big bike territory. Of course, it's also market dynamics which has seen the introduction of this new 300 cc motorcycle. The 200 cc - 500 cc motorcycle segment is one of the fastest growing segments in India and it's been a while since Honda Motorcycle And Scooter India had a model which could generate volumes in this segment. There is the Honda CBR250R, but it hasn't seen a generation update in the longest time and looks out of date even with the minor updates to the design and features. 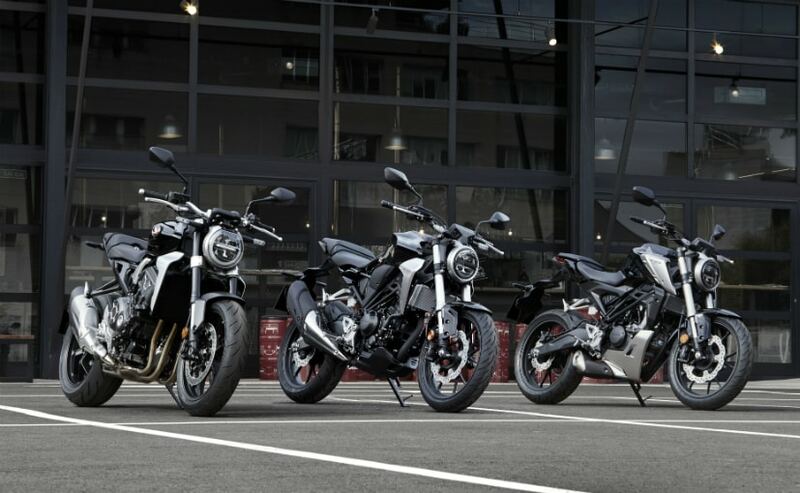 The CB300R could prove to be a much needed shot in the arm and with the likes of the BMW G 310 R, KTM 390 Duke and the now the Royal Enfield 650 twins doing decent enough, it is about time for a Japanese motorcycle manufacturer to light up the segment. So, here is everything that you need to know about the Honda CB300R. It looks like a smaller version of the Honda CB1000R. It is a naked motorcycle and draws inspiration from the Neo Sports Café concept. The front end gets a retro-looking round headlamp with a brushed metal rim and 41 mm upside down forks and flat Aluminium handlebars which not only make it purpose built but also make it look really cool. View it in profile and you will see that the bike has sharp lines and a chiselled fuel tank. The exposed frame along with the blacked out engine and the brushed alloy radiator shrouds offer excellent road presence. The upswept exhaust gels well with the overall design of the motorcycle. The Honda CB300R gets all LED lighting along with two bars of LED lamps on the headlamp console. Then, you have the fully digital TFT instrument console which looks really neat. In terms of cycle parts, the CB300R gets a 296 mm petal-type disc up front with 4-piston callipers and the rear wheel gets a 220 mm disc with 2-piston calliper. A dual-channel ABS will be offered as standard along with an inertial measurement unit (IMU) as well. The rear monoshock gets 7-step adjustability while the 41 mm USDs up front too have 5-step adjustability for preload. So in terms of features, yes, it is loaded. The Honda CB300R is powered by a liquid-cooled, 286 cc, DOHC, single-cylinder engine which puts out 30.9 bhp at 8,500 rpm and peak torque of 27.5 Nm at 7,500 rpm. 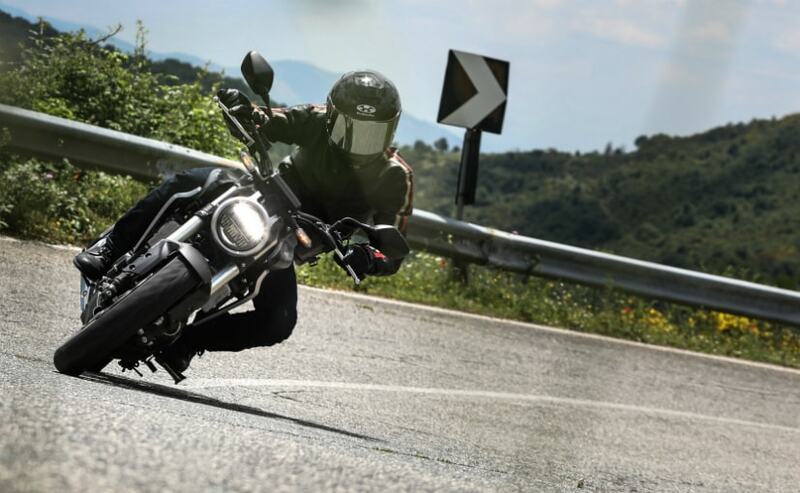 Power is sent to the rear wheel via a six-speed gearbox and the motorcycle tips the scales at 143 kg. The fuel tank capacity is 10 litres, and Honda claims the range of the CB300R will be over 300 km in a tankful of fuel, which means the fuel efficiency works out to about 30 kmpl, give or take. Honda says that it will keep the pricing competitive and less than ₹ 2.5 lakh (ex-showroom). If the company can keep it between ₹ 1.9 lakh to ₹ 2.3 lakh, we believe that the Honda CB300R will get some good numbers in for the company. Select HMSI dealers across the country have already started accepting bookings for the bike at a token amount of ₹ 5,000. It will be assembled in India, hence the pricing strategy. 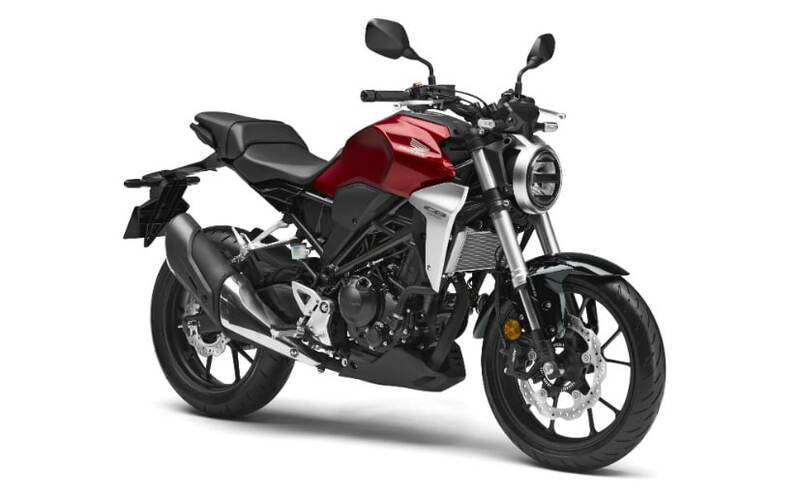 Honda will offer the CB300R is two colours, which are Matt Axis Gray Metallic and Candy Chromosphere Red. Once launched, the Honda CB300R will have its work cut out. 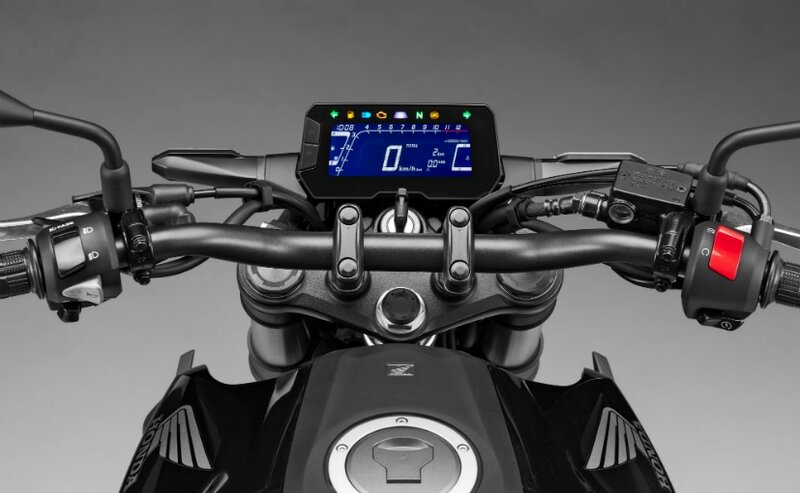 It will take on motorcycles such as the KTM 390 Duke along with the BMW G 310 R and the Royal Enfield Interceptor 650. Honda should be able to undercut the rivals of the CB300R with its intention of keeping the ex-showroom price less than ₹ 2.5 lakh and with that done, the CB300R should rake in good numbers for the company.